Digisat’s Media & Entertainment Network Services enable the efficient delivery of Video Contribution & Video Distribution services to clients around the globe. Our turnkey portfolio of services & solutions are designed to provide increased network reliability, streamline everyday operations & increase revenue. We also provide experienced broadcast & satellite personnel for your special events. Our broadcast engineers will setup your entire distribution link, whether it’s satellite or IP based. 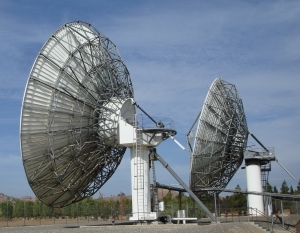 Our experienced personnel provide versatile know how and manpower for setting up satellite time, encoders, modulators, high power amplifiers & uplink trucks. Digisat is ready to handle all of your tedious day to day tasks so that you can concentrate on your core business of delivering content.